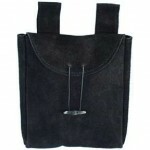 Hand made quality leather pouch is perfect for costumes, SCA, and more. 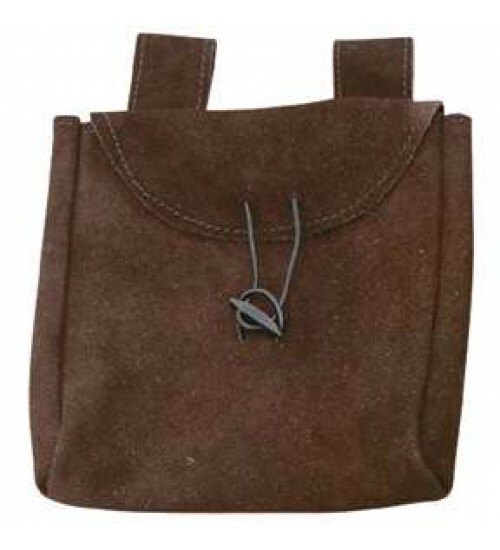 The large suede pouch is a great addition to your period outfit. A convenient way to hold your modern day items like keys and money. 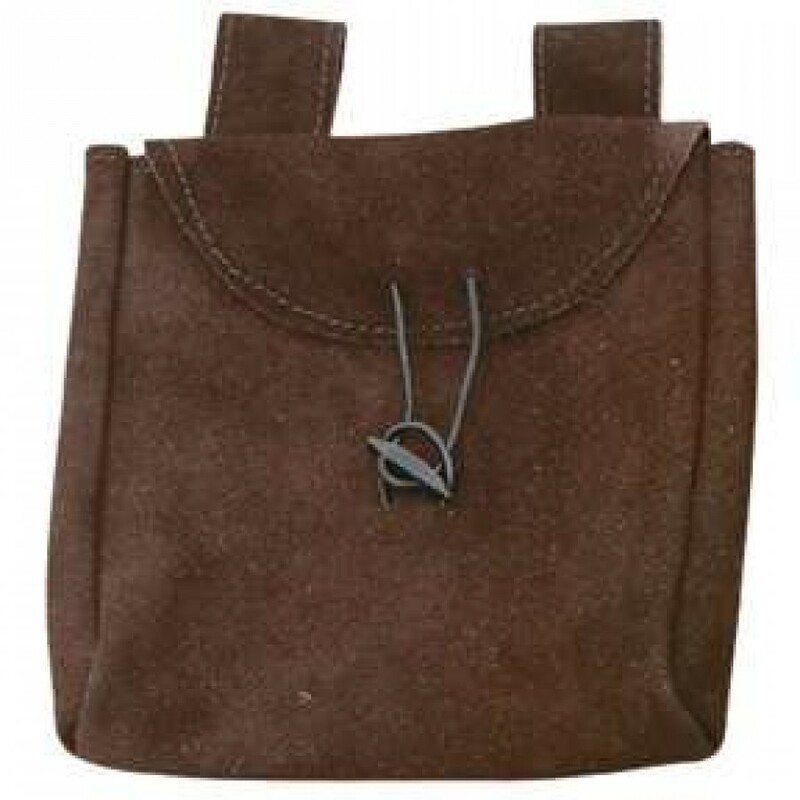 Made from suede, this is a great inexpensive pouch. Hand made leather pouch is 8 1/2 x 7 1/2 inches with belt loops to fit belts u to 2 1/2 inches wide (belt not included). Item Number: FX-PLM6101642-BR | Approximate Size (Inches): 7.50 wide x 2.00 deep x 8.50 high | Approximate Shipping Weight: 1.00 lbs.